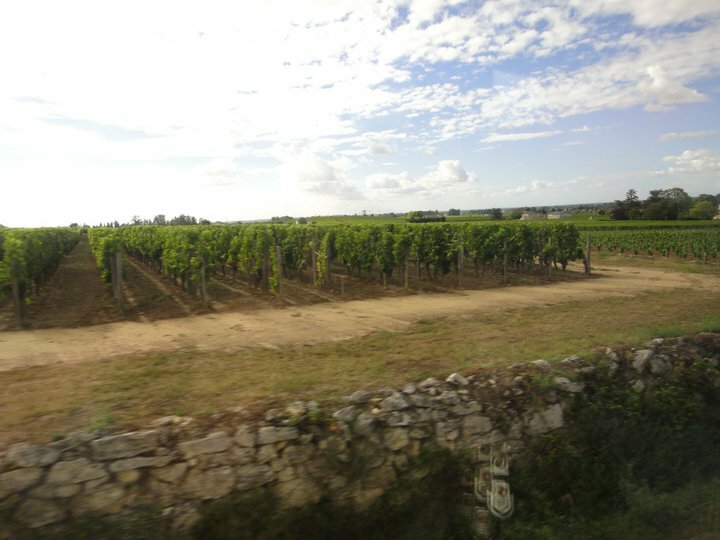 The Bordeaux region of France is one of my absolute favorite places in the world. 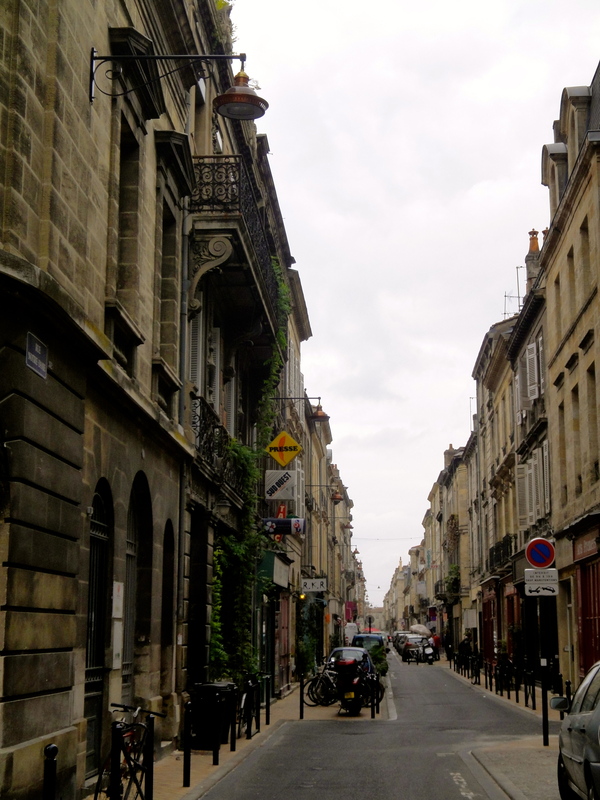 You’ve got my all-time favorite town Saint-Émilion, you’re not far from the French Riviera and, of course, the actual port city of Bordeaux itself, which is sort of like Paris’ baby sister. It is SO easy to navigate through the small, narrow streets; it’s almost impossible to become lost (although I wouldn’t put it past myself if I did…). While it’s not a mega city, Bordeaux has a very large presence, and leaves an even larger impression upon you once you experience it. The cobblestone streets are lined with heaps of cafes, serving some of the most delicious food you can imagine and equally yummy coffees and cappuccinos. 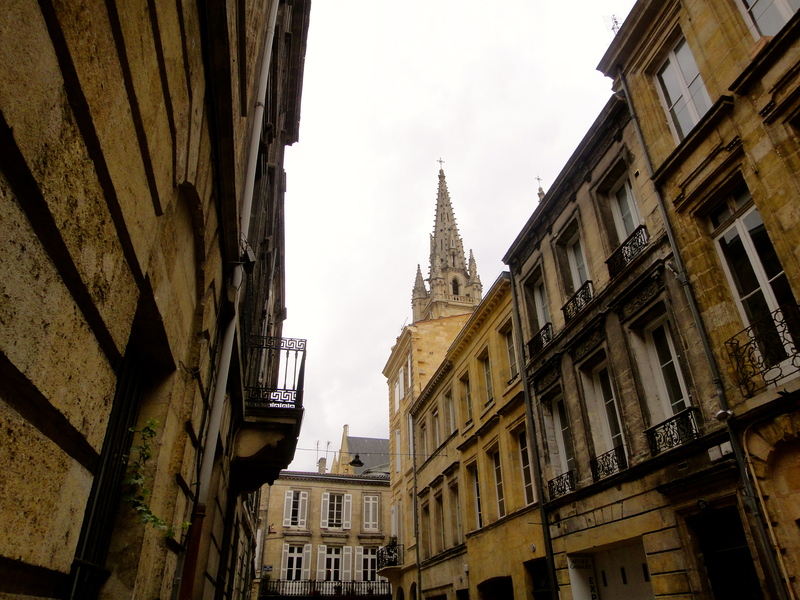 So you’re in Bordeaux… What should you do? Of course, no trip to Bordeaux would be complete without indulging in some of the world-famous Bordeaux wine…. I mean, you’re in wine country, baby! There are plenty of small wine shops all throughout the city, filled with über educated wine connoisseurs who are all waiting to find you the perfect bottle to purchase. I couldn’t suggest more than popping into one of these stores to buy a bottle of vino, and then head over to one of the many fromageries nearby for a quick cheese pairing. The city views, overlooking the Garonne River, is the perfect place to sit, relax and enjoy some of the world’s best wine and magnifique cheese! I don’t usually stop by the visitor’s information area of any city, but I highly suggest doing so in Bordeaux. There are so many amazing day tours that operate out of the city, and it would be an absolute shame not to see the rest of the Bordeaux region (trust me.. it’s breathtaking!!). As I stated above, my personal favorite is Saint-Émilion, which is super accessible from Bordeaux’s city center. In season, there are busses that run the entire trek (should you want a more budgeted approach), however there are guided tours of the UNESCO listed village available as well. Out of season, the busses do not run the full length, leaving you to walk to rest of the way, however it isn’t too far, and totally worth it! I would also suggest sticking with traveling by bus and seeing the village on your own. Other day tours include bicycle rides through vineyards, vineyard tours, wine tasting adventures and more. Yes you can! 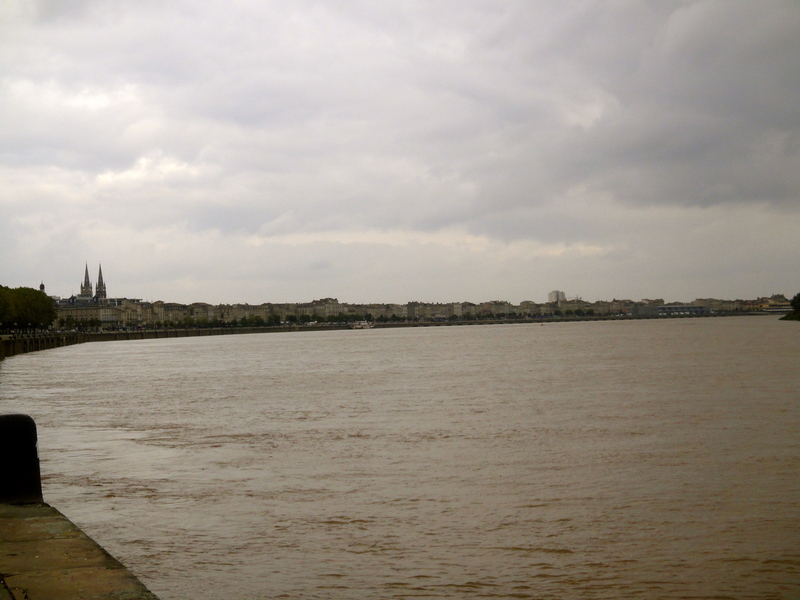 Bordeaux is far cheaper than Paris, the Riviera and many other cities. Due to its small size, there is no need for public transportation; I found numerous cafes to be priced exceptionally well and accommodation was cheap enough that I was able to spring for a private en suite room, which was situated in a renovated apartment building in the city center (a complete bonus buy after backpacking Europe for a few months straight)! Your photographs are superb and bring back some good memories. 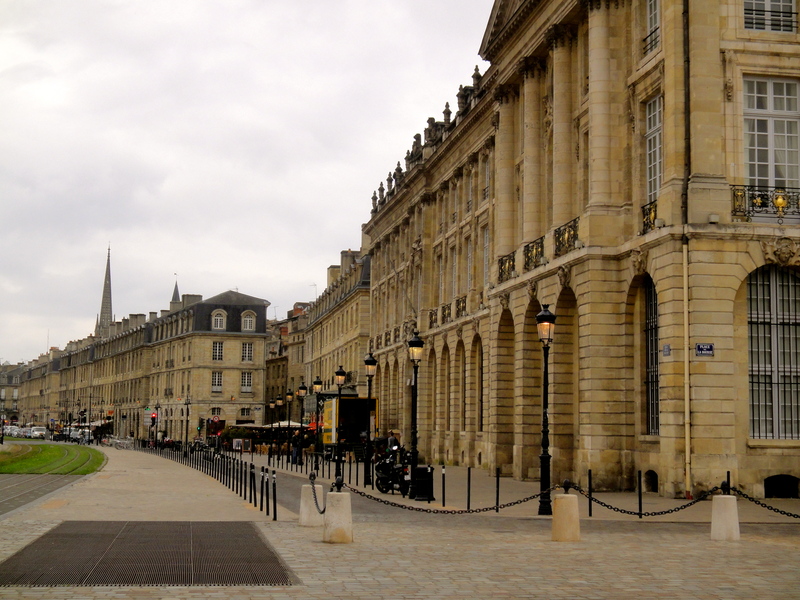 I visited Bordeaux in December last year and was impressed by the architecture of the city. Quite lively at night too with some excellent restaurants and many English pubs. Visited the large flea market and also saw Girondins de Bordeaux FC in their new stadium. Most impressive thing about the city was the huge Opera House in the centre. Just passing by on a Sunday and saw a queue outside. Not a big music fan but paid 8 euros to see an entertaining hour performance by a quartet of violinists. You feel like you have walked into the late 18th century with the décor inside. Amazing place. Took the trip to St Emillion which was very enjoyable. Next time I visit Bordeaux I will visit Bergerac. Definitely a better city than Lyon,Toulouse,Marseilles and few other large cities. Up there with Strasbourg but Nice out of holiday season (October is perfect) is my favourite French destination. 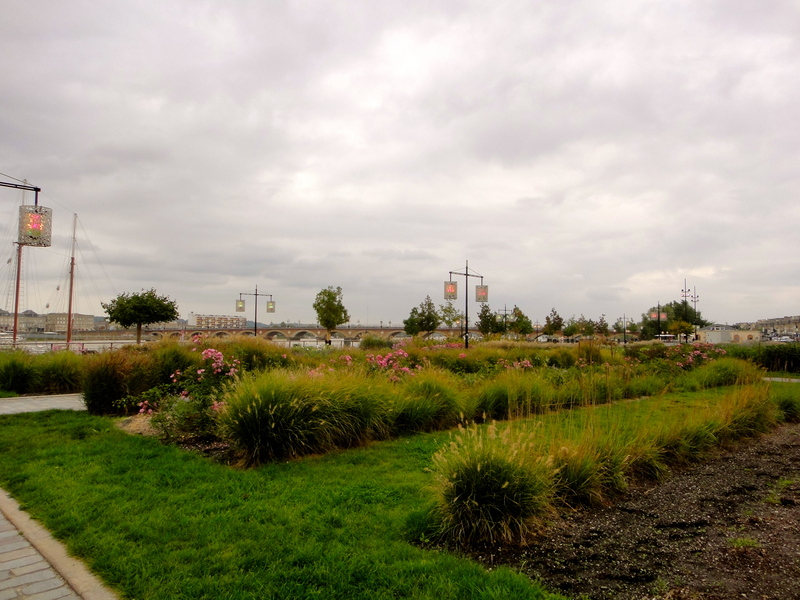 It is one of the some sombre and depressing cities I have ever lived in. So banal apart from it’s architecture and the miroir d’eau which is nothing to get excited about. 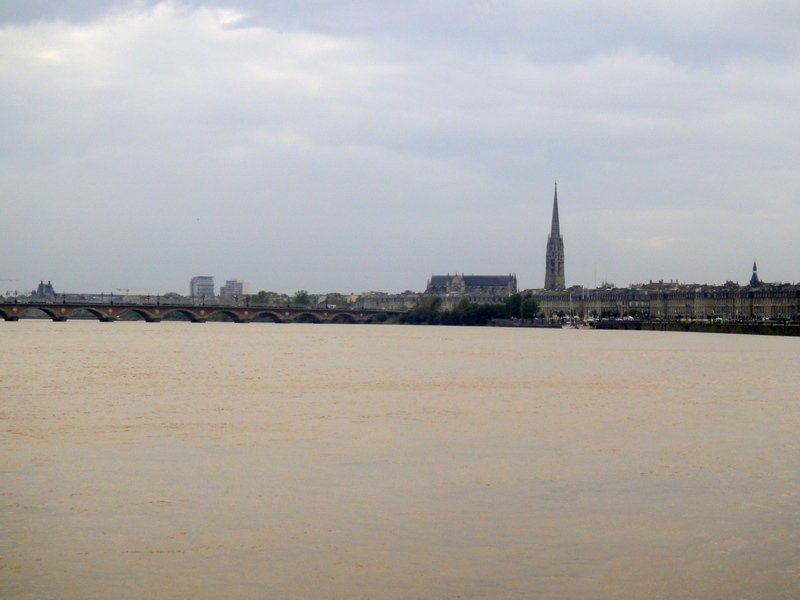 The Garonne is mud coloured and reflects the sombre banal mentality of its cold bourgeois hosts. This pretentious, chauvinist, racist, and uniformly bourgeois town has nothing on the vibrancy and adventurous international spirit of Paris. As to food, it is definitely is not a town for snacks. For lunches and dinners, yes. It really only caters to meat eaters, the principal specialties being duck and beef. There is one very good Fish restaurant “La Commerce.” Vegetarian snacks or the like? it doesn’t have any. Wine is all it has and excellent wine at that. wine country! jealousss. ps, any bacon there? Of course! I tend to stick to areas where pork is easily available for consumption…. Your article made ​​me smile. It’s always fun to see a stranger tell about a French town. 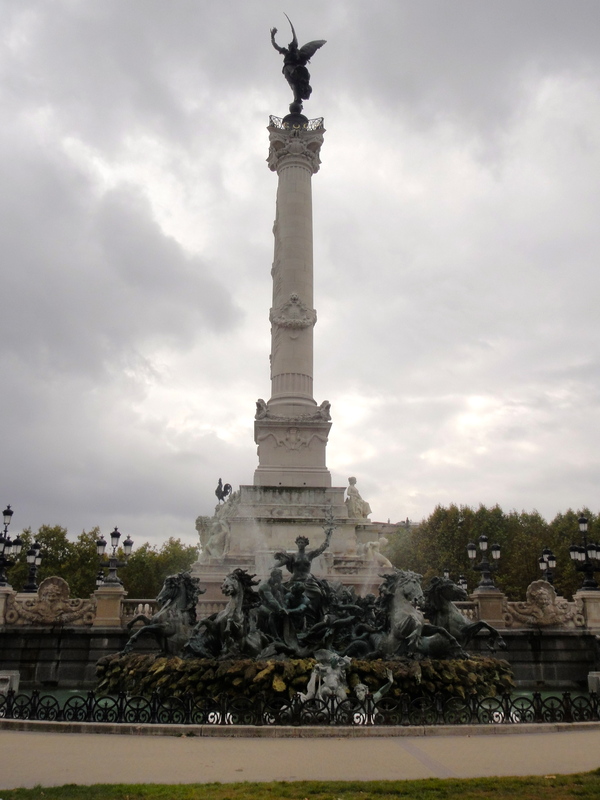 It is true that Bordeaux is a beautiful city known for its wine;). Enjoy your stay!